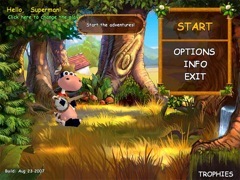 Supercow saves the animal farm in this moo-velous family arcade game. 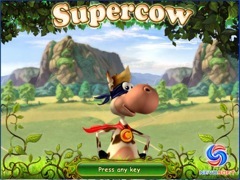 Through her network of informants, Supercow heard about Professor Duriarti's plan to destroy Earth. Now she's got to save the farm animals. After all, who knows how to save the farm better than Supercow? 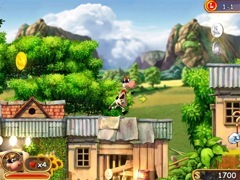 This arcade game is fun for the entire family - even if you were all raised in a barn!